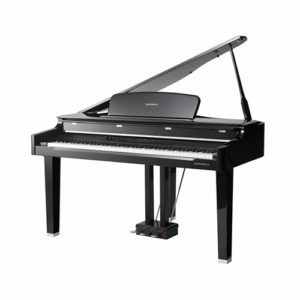 This is a beautiful digital piano with quality built-in speakers and a superb primary piano sound in Kurzweil’s brand NEW German 9′ Grand Piano. The German 9′ Concert Grand breathes with amazing tone, realism, and expression beyond what you thought possible in a digital piano. Following the standard of sonic excellence established by the Artis® and Forte®, the Artis® SE helps you realize a high level of performance with its astonishing sound quality, dependability and user-friendly operation. 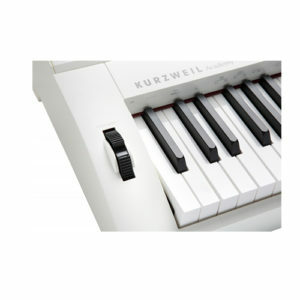 The rosewood KA150 from Kurzweil is a digital piano with 88 graded-hammer keys in a spinet-style piano cabinet. 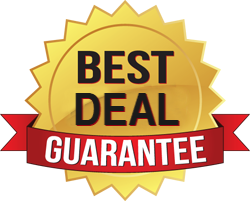 It features 128 factory presets and a wide range of acoustic and electronic sound selections such as pianos, electric pianos, organs, and orchestral and choir instruments. With 26 pre-recorded accompaniment patterns in a variety of styles to play along with, the digital piano offers front and center control panels with easy access to all system functions including Sound Selection, Styles, Split/Layer, Transpose, and Metronome. Furthermore, the cabinet is designed with a 20W, 2-speaker, stereo sound system with built-in music stand and slide-out fallboard. 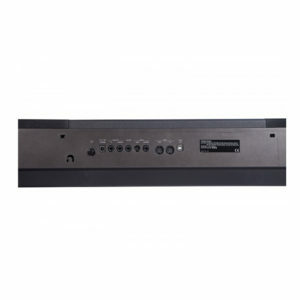 Some other features include two headphone outputs, a USB port for MIDI, RCA stereo inputs and outputs, a 1/8″ input, and a 1/4″ microphone-input jack. The three built-in expression pedals come standard and provide Sustain, Sostenuto, and Soft control for the keyboard. An external power supply is also included. 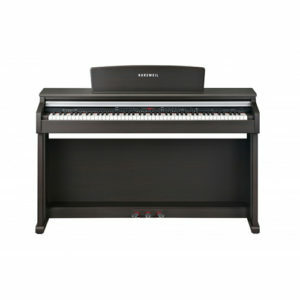 The rosewood M210-SR 3-Pedal Digital Piano from Kurzweil features 88 fully weighted graded-hammer action keys with adjustable touch sensitivity. 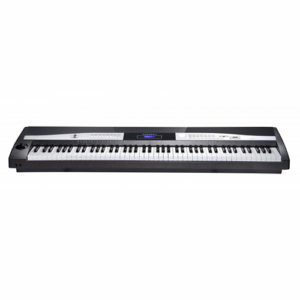 Besides a variety of acoustic/electric pianos, organ, guitar, and orchestral instruments, this digital piano is also equipped with 20 voices and 12 rhythms to select from. The dual mode allows two different players to play the instrument, one on the left and one on the right, over the same octave range. 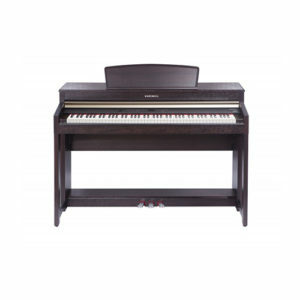 Constructed in a spinet-style cabinet with simulated rosewood finish, the piano features a 30W 2-speaker stereo sound system, a built-in music stand, and slide-out fallboard.The user can easily select various functions and have several patterns and accompaniments using the Metronome and Style. 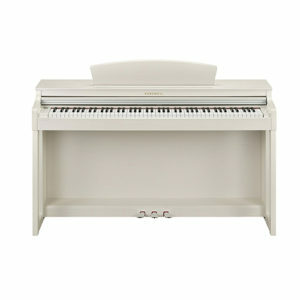 This piano has three foot pedals including Damper (sustain) pedal (right), Sostenuto pedal (center), and Soft pedal (left) that produce a range of expressive effects like those produced by the pedals of an acoustic piano. 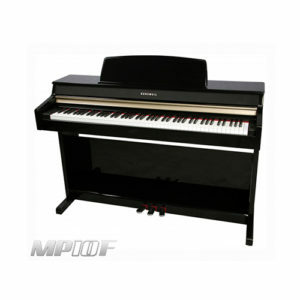 With MIDI support, this piano can be used with multiple instruments conveniently. 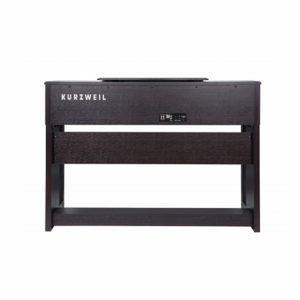 The rosewood M230 from Kurzweil is a digital piano with 88 graded-hammer keys in a spinet-style piano cabinet. It features 30 factory presets with 128-voice polyphony and a wide range of acoustic and electronic sound selections such as pianos, electric pianos, organs, and orchestral instruments. 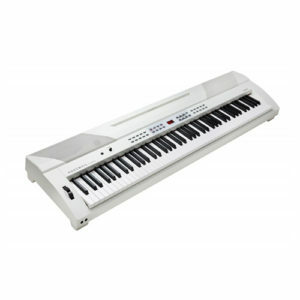 With 30 pre-recorded accompaniment patterns in a variety of styles to play along with, the digital piano offers easy access to all system functions including Sound Selection, Rhythms, Split/Layer, Transpose, and Metronome via the 5×7 scrolling dot-matrix LED. Furthermore, the cabinet is designed with a 20W 6.5″ stereo speaker sound system, and has a built-in music stand and slide-out fallboard. 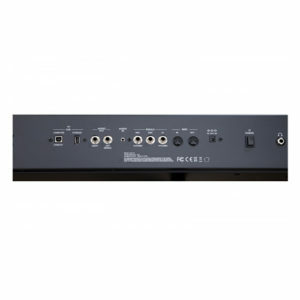 Some other features include two headphone outputs, a USB port, MIDI in/out connectors, an RCA stereo input/output, a 1/8″ input for MP3 players, and a 1/4″ microphone input jack. The three built-in expression pedals come standard and provide Sustain, Sostenuto, and Soft control for the keyboard. An external power supply and matching bench are also included. 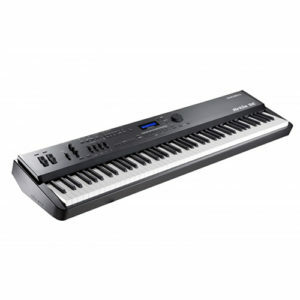 The M3W digital piano combines value and affordability with 200 of the best sounds ever developed for Kurzweil professional keyboards and sports features specifically engineered for sound, convenience, and control. 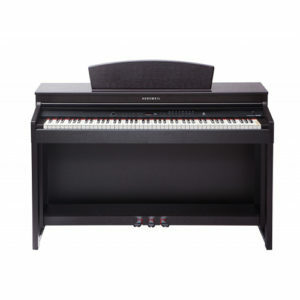 The black polish CGP220 Digital Concert Grand Piano from Kurzweil features a spinet-style cabinet and 88-note keyboard with fully weighted wooden keys with graded Italian-hammer-action. 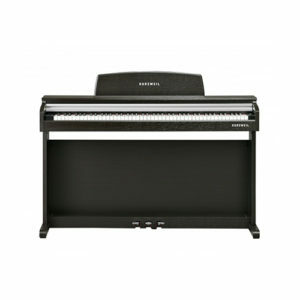 The built-in sound chip technology is designed from Kurzweil’s PC3 and Artis series keyboards and includes a German 9′ concert grand, vintage electric pianos, clavinets, string sections, and orchestras.